Five Canyons Castro Valley | Castro Valley Homes- Best place for info on Castro Valley Homes! Castro Valley Homes- Best place for info on Castro Valley Homes! Inventory: 54 units were listed for sale as of the last day of July – approximately 1 month of inventory. Sales Activity: 56 single-family detached units were sold during July. 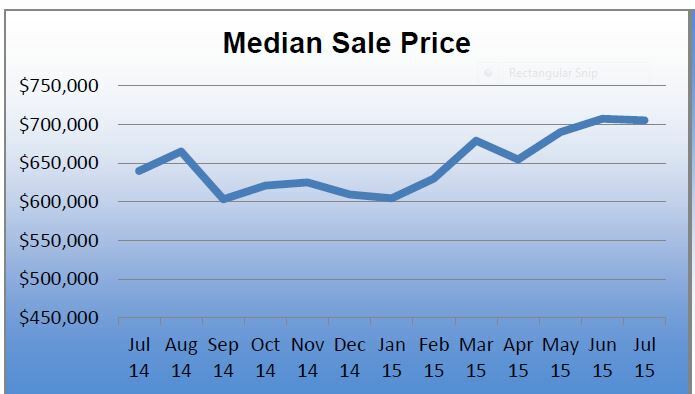 Median Sales Price: $705,500 during July. Average sales price was 105.85% of the average list price during July. As per the Bay East Association of Realtors, Days on Market (DOM) for the Castro Valley area year-to-date is around 55. The median detached home price in Castro Valley for June was $495,000. As of the last day of June there were 131 active homes in Castro Valley. At current selling rates this means there is approximately 3 months of inventory in Castro Valley remaining. As of July 21, 2010 there were thirteen homes in Palomares Hills listed in a price range of $399,950-1,537,000. Four homes are townhouses and Duets and nine homes are Single Family Homes. There are ten properties currently listed in Five Canyons, Castro Valley with seven Single Family homes and three condos in the price range of $398,000-949,000. As per the California Association of Realtors, first time home buyers increased for the second year due to housing affordability and the first time home buyer credit. The tax credit was the primary reason for those buyers who may not have had enough down payment and the tax credit helped to cover the difference. Generally speaking, distressed properties and short sales sell for a lot less than the regular properties and with such an abundance of distressed properties on the market, first time home buyers affordability increased. Housing Market in Castro Valley, Ca. As per the Bay East Association of Realtors, Days on Market (DOM) for the Castro Valley area year-to-date is around 84. The median attached home price in Castro Valley for September was $505,000. As of the last day of September there were 107 active homes in Castro Valley. At current selling rates this means there is approximately 2 months of inventory in Castro Valley remaining. How much have the prices dropped in Five Canyons in the last 2 years? I will give you an example of how much the prices have dropped in 2 years in Five Canyons. The example I am giving is the floor plan close to my heart since it was my own home. I sold my house in Five Canyons for 1,125,000 on 2/1/2007. It was a 2,992 sq ft home. On 5/5/2008 the same floor plan sold for $925,000. On 5/16/2009 the same 2,992 plan sold for $730,000. This home was not the best location since it was closer to the power lines which is not desirable. It was also a foreclosure property. There is a home currently listed in that sq footage for $845,000. I hope that gives you a pretty good idea of what has been going on in Five Canyons. The prices in Five Canyons are now starting to go back up and if you are looking to buy, now is a great time since I don’t see them going down anymore. The schools in Castro Valley are excellent, and the homes in Five Canyons are beautiful. There is a new Montissori school in Five Canyons which is also very good. The area is centrally located with easy access to major freeways like 580, 92 and 880. If I can show you any homes in Five Canyons or Palomares Hills (another great area with awesome Jensen Ranch school), please let me know at 510-279-9580. I have heard that Palomares Hills and Five Canyons are good areas in Castro Valley. Can you tell me more? Palomares Hills and Five Canyons are both excellent areas of Castro Valley and are very desirable because of the best Elementary schools and the upscale homes. Palomares Hills was built by Shapel. There are homes in Palomares Hills that range from 22 years in age to as new as 9 years and consist of Single Family homes, Duets and Townhouses. There are some beautiful view homes and it is an exclusive area with Villareal as the main road leading into the area. Palomares Hills is close to highway 580 and is an easy drive to the Pleasanton Stoneridge shopping Mall. The Elementary school is Jensen Ranch and as mentioned earlier it is a top rated award winning school. Five Canyons was built by Centex. These are newer than Palomares Hills and range from 14 years to the newest being 8 year old. There are 5 developments in Five Canyons that have all Single Family Homes. They are Gold Creek, Canyon Oaks, Abbeywood, Whispering Oaks and Creekside. There is another development in Five Canyons that consist of townhouse and that area is called Wildwood. A new Montessori school was built next to the Wildwood development. The elementary school for Five Canyons is Independent School which is also excellent. Five Canyons is close to Mission, Highway 880, 92 and 580. As of today August 28, 2009, there are 11 homes in Five Canyons and Palomares Hills ranging from $459,000-$927,000. As per the statistics from the Bay East Association of Realtors, Days on Market (DOM) for the Castro Valley area year to-date is around 96. The median single family home price in Castro Valley for June was $435,000. As of the last day of June there were 102 active homes in Castro Valley. At current selling rates this means there is approximately 2 months of inventory in Castro Valley remaining. As you can see just from the last 3 months below, inventory is getting low and prices are on the rise. The market is changing from a buyer’s market to once again a seller’s market. I am finding multiple offers in many areas in the East Bay especially in Castro Valley, California. I just sold a home in Palomares Hills, Castro Valley. As per the seller’s agent he had 3 offers, and thankfully our offer was accepted. In Five Canyons , Castro Valley I ran into the same situation. The home there too sold over asking price. I now have an investor who wanted to see a house that just came on the market in Castro Valley. I had to give him the disappointing news that they already have 4 offers over asking price out of which 2 are all cash offers.